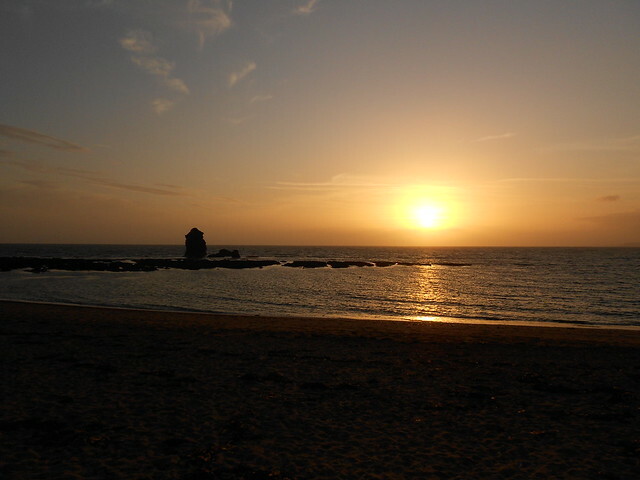 I took this picture just before sunset at Thurlestone Beach in South Devon. We’d been playing with the dog for an hour or so while watching the kite surfers do their thing. Watching the sun go down was the perfect end to the day. N.B. Regular readers will notice that this Friday slot has evolved slightly from its previous incarnation as ‘Gratuitous Labrador photo of the week’. While my furry orange sidekick is still just as photogenic as before, I’ve decided to broaden my repertoire a little. Though I’m sure I’ll still manage to sneak in the odd photo of Molly from time to time. This entry was posted in Photo of the week and tagged Beach, Devon, Photo of the week by Simon Perks. Bookmark the permalink.